Imagine what would happen if all your company’s data suddenly disappeared: your website, software, business documents, emails, contacts, subscriber lists, employee records, customer credit card details, everything. This does happen. It can be caused by fire, flood, theft, human error, hacking, machine failure and various other things. Without a backup, the loss of this data would mean ruin for many companies. Backups are, therefore, absolutely essential: they ensure that in the event of a disaster your company can recover quickly and get your business back up and running. But not all backups are the same. That’s why more and more companies are turning to cloud backup services in order to improve backup capability, be able to recover more quickly and save costs. In this article, we’ll take a close look at cloud backup and show you the key elements you need to look for when choosing a provider. Cloud backup is a way of storing data remotely, over the internet, using the facilities of a third-party service provider. It is an alternative solution to storing data locally on hard drives or tapes. Most cloud backup services provide a wide range of features that help customers to easily backup, manage and recover data. They offer flexibility to cover changes in storage demands, pay per use pricing structures and full control over frequency and level of backup – which can include backing up entire servers or systems. Increasingly, cloud backup services are being combined with disaster recovery services. 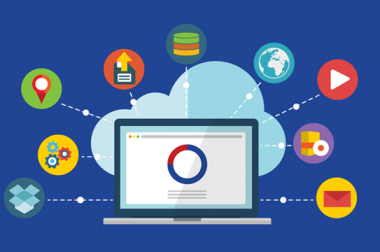 One of the advantages of cloud backups is that you don’t need to ask what’s the biggest amount of data you can store – the nature of cloud computing means you can have all the storage you need. However, as the amount of storage you use will affect your service costs, it is important to calculate exactly what your requirements are. To do this, you will need to consider the size of the files you require backing up and the number of backups you will wish to keep in storage at any one time. Luckily, most cloud backup services enable customers to increase capacity of their storage when required. So, if you find yourself needing to go beyond your normal limits you will be able to increase the size of your backup plan. This is very helpful for growing businesses who can start off with smaller storage and then gradually increase its size as their business expands. It’s a much cheaper alternative to paying for unlimited storage or shelling out for a backup server to maintain on your own premises. When opting for cloud storage, do make sure your vendor offers this flexibility. It is critical that you choose a vendor that provides a high availability backup service. If the service goes offline it means backups might not take place when you schedule them and access to your data might not be available when you need it most. Your service provider should be able to offer 99.95% uptime and over – if it doesn’t, look elsewhere. 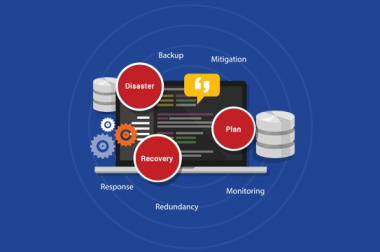 Whilst a backup service plays a vital role in your disaster recovery plan, it is equally as important that your vendor has a disaster recovery plan in place too. Should the servers on which your backups are stored be damaged or taken off-line by cyber-attack, you need to know that your data is safe and easily recoverable. Most service providers have robust defences against cybercriminals in place and use multilocation backups so, even if a natural disaster takes out one of their data centres, another copy of your data can be brought online elsewhere. Make sure any vendor you choose has this capacity. The frequency at which you need to back up your data depends upon the type of business you run. For some organisations, especially ones where online transactions and data updates are taking place all the time, continuous backups might be required so that recent data is never lost. You need to make sure that the backup service you opt for provides you with the ability to schedule updates as the frequency you require. Some services can restrict the number of backups you are allowed or the frequency at which you can do them. Make sure you choose a service which will suit your present and future needs. Data security is exceptionally important given the increasing number of highly sophisticated cyberattacks. So, if you are putting your data backups into the hands of third-party, you need to know that they have equally sophisticated measures in place to protect your data. You should look for service providers who use at least 256-bit encryption both in storage and during transfer, Secure Socket Layer (SSL) or Transport Layer Protection (TLS), have intrusion protection and use local and off-site data storage. A good provider will also have on-premises security (security guards, access control, CCTV, etc.) at their data centres. If you collect and store personal information you will have to comply with the Data Protection Act and part of this will be to ensure that any third-party provider who manages data on your behalf maintains that compliance. At the same time, look to see that your provider offers regulatory compliance with industry protocols, such as the Payment Card Industry (PCI) standard. Whilst the vast majority of service providers meet these very exacting standards, it is your responsibility to check out their compliance before putting your data into their safekeeping. Failure to ensure compliance is in place can put your own company at risk of very high penalties if your data is lost from a third-party vendor. If you use a third-party provider to back up your data, they automatically become a key part of your disaster recovery plan. If something goes wrong with your system and you need to restore service quickly to meet your Recovery Time Objective, then you need your provider to be available there and then. For this reason, always choose a vendor that provides 24/7 technical support which you can contact through a variety of channels – by phone, online chat, social media and email. This way, no matter what kind of disaster you are facing, there should be some way of communicating no matter what time of day. Before committing to any contract, make sure you check the terms and conditions carefully. Look to see that there are guarantees and SLAs in place to ensure effective service and that there are no service limits or contractual terms that restrict the things your company needs to do. Also, check to see whether there is a vendor lock-in – as these make it extremely difficult to move your business elsewhere. The focus of your search for a cloud backup provider should be on the quality of service and the needs of your company. Only when you have found several suppliers who meet your criteria should you begin to consider pricing. You will find that competition between providers has brought down pricing considerably over the last few years and it is fairly easy to compare companies as pricing models are quite similar across the industry. Usually, you pay monthly or annually for a specified amount of storage and the range of features that the company offers. Do be wary of companies that offer very cheap storage and then bump up the price by charging extra for additional features. At WHUK we offer a complete backup service that includes all the key elements mentioned above. With packages from £4.20 a month for 25GB, we provide highly secure data transfer and storage, powerful AES encryption, data integrity checking and SQL database backups. Our service is easy to set up and manage, offering complete flexibility on the frequency of your backups and the number of backups you keep in storage. With industrial strength storage and bare metal backups available, our range of services are suitable for companies of all sizes. For more information visit our Backup Solutions page. Is Your Website Down? Want to Know Why?